A quality metal wire coat hanger with a rounded smooth hook end with purple tip. Galvanised and polyurethane powder coated to prevent marking and increase longevity. Ideal for use with suits, shirts, blouses, trousers, skirts, dresses etc. 13 gauge ..Stronger than 13.5 or 14 gauge. 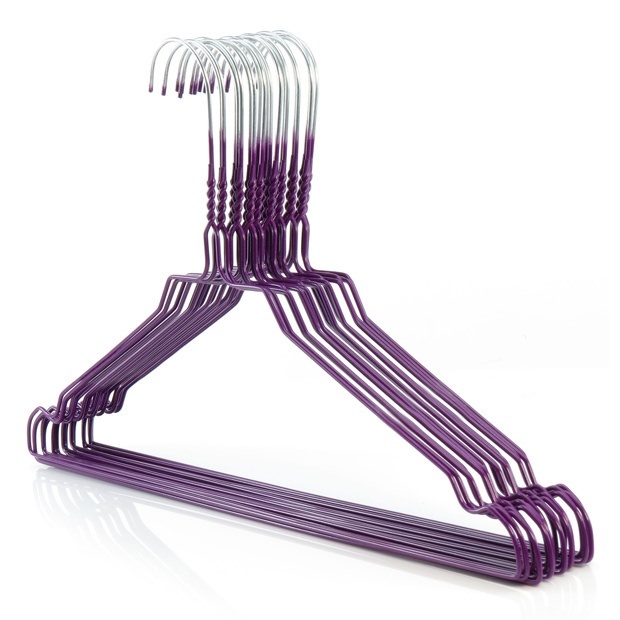 standard wire hangers, painted purple. good quality, ideal for someone who likes purple.